Sonny came to us from the euthanasia list of a Twin Cities shelter. Sonny was an owner surrender and had been surrendered with his doggie sister - we did not have the opportunity to take the sister as she went to another rescue. Sonny was on the euth list as he was shutting down in the shelter, afraid and nervous - we call it shelter stress. This boy is really very sweet and friendly and he deserves a chance to really shine - if you think you can provide the love and stability that Sonny needs, please contact us as we would love to discuss him further with you. Sonny is a Lab/Hound mix and is all up-to-date on his vaccinations. He is micro-chipped and neutered. 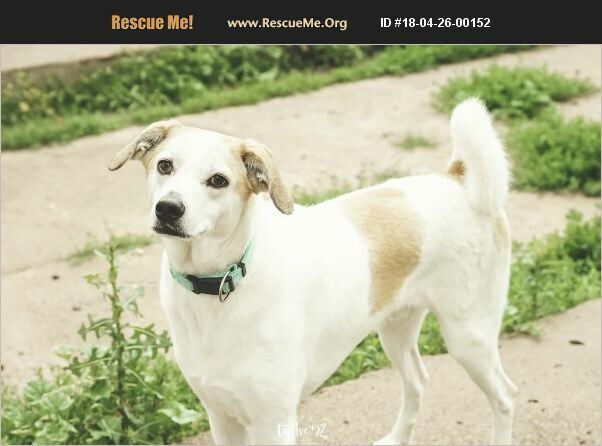 DOB 5/2016 (To view a video of Sonny playing with Pearl, visit his Pefinder page: https://www.petfinder.com/dog/sonny-38928243/wi/new-richmond/gregorys-gift-of-hope-inc-wi432/) BEFORE CONTACTING US REGARDING SONNY, PLEASE REVIEW OUR ADOPTION REQUIREMENTS.